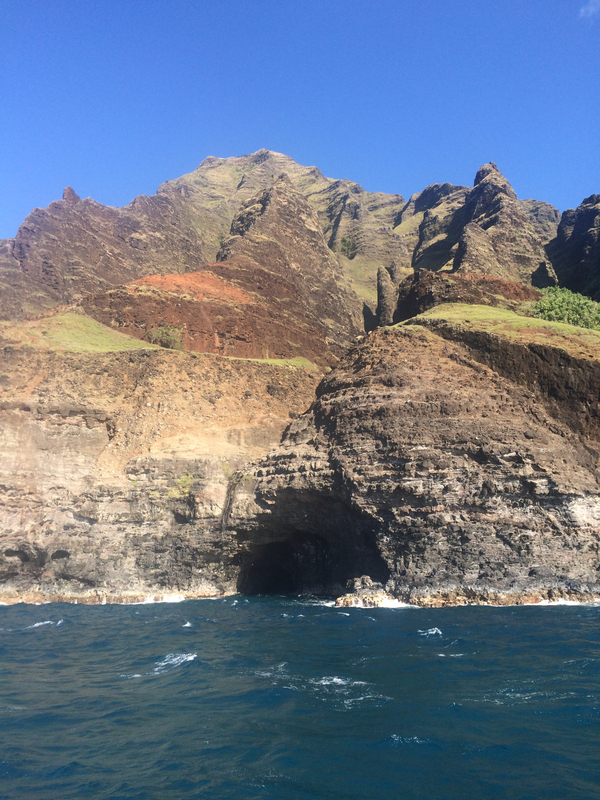 If you ask me, a visit to the Na Pali Coast is a must-do when you come to Kauai. Depending on your interests, there are many different ways that you can do that. There are helicopter tours, boat cruises, and, if you are really brave and adventurous, you can even hike it. By far, my favorite way to see the Na Pali Coast is on a sunset dinner cruise. I loved this experience so much that I’ve done it twice. There are many different kinds of cruises you can take. Some cruises are during the day and allow you time to snorkel. I chose the dinner cruise because I wanted a romantic experience with my husband. I wanted to see the sunset, the way the light catches the coastline as the sunsets. And, I wanted to use the daytime to explore the area and some of the beaches nearby. I thought a dinner cruise would be the best way to utilize our time. We could use the day for exploring. At night, we had dinner and continued exploring as we got to see the Na Pali Coast. We drove to Port Allen early in the day so that we could have time to enjoy this seaside town. When you arrive in Port Allen, it doesn’t look like much. And while there are only a few things to do, it’s still worth coming to Port Allen a couple of hours early to check out. I loved exploring Port Allen. We went to the Kauai Beer Company, which proudly calls itself the most western part of the US. We had a late lunch and tried some of their beer. You could also visit the Port Allen Sunset Grill and Bar. We also shopped for t-shirts at Original Red Dirt Shirts, and then we visited the Kauai Chocolate Company, where you can get incredible chocolates and ice cream. Honestly, a trip to Port Allen is worth it just to visit the Kauai Chocolate Company! The last time I went to Kauai, I actually made a special trip back to the Kauai Chocolate Company before my flight back to Oahu so that I could bring back some of their fudge. That’s how much I like it! Port Allen is also only a five-minute drive to the famous Glass Beach, a beach made up entirely of sea glass. Click here to read our tips for visiting Glass Beach. 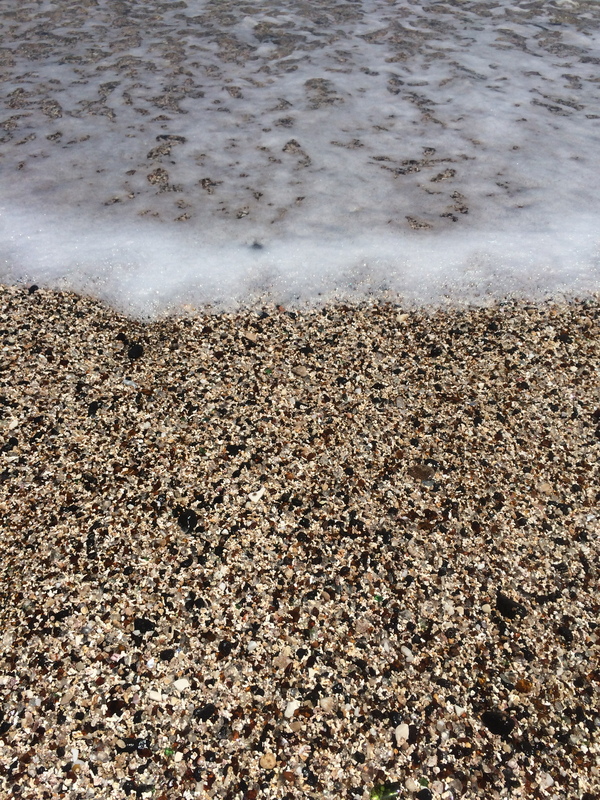 Pro Tip: Visit Glass Beach before boarding your Na Pali Coast Cruise. You can easily spend a few hours checking out the different shops and sights. I would recommend getting to Port Allen 1-2 hours before your sunset cruise depending on what you plan to do. Two hours would give you enough time to explore Glass Beach and grab a beer and a small bite to eat. We boarded the cruise in the afternoon and sailed until the sunset. I had never seen the Na Pali Coast before, and I had no idea how colorful it is. Because of this, I feel that a boat cruise is the best way to experience this wonder. It’s pretty incredible to me that I am witnessing the results of millions of years whenever I am looking at the Na Pali Coast. After heading north up the coast, the boat stopped for a while so that we could have dinner. I could not stop taking pictures of these beautiful, ever-changing cliffs. Sea arches can be found throughout the Na Pali Coast. 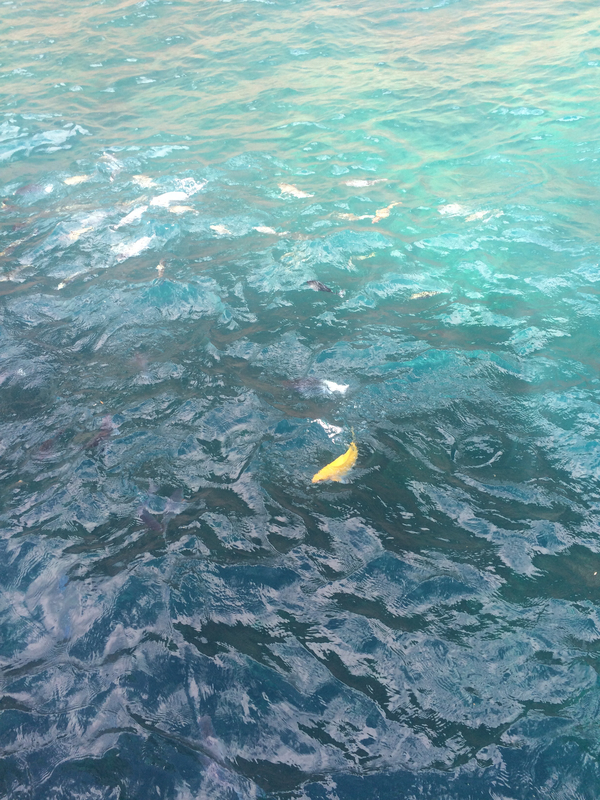 We saw lots of fish swimming around, and I even saw a Hawaiian green sea turtle, which was so unexpected! So when you go, remember to keep your eyes peeled for sea turtles. The Na Pali Coast will have you looking up, but don't forget to look down for fish and sea turtles! Afterward, the boat turned around and we watched the sunset. The gorgeous sunset set against the backdrop of the Na Pali Coast was a breathtaking experience. 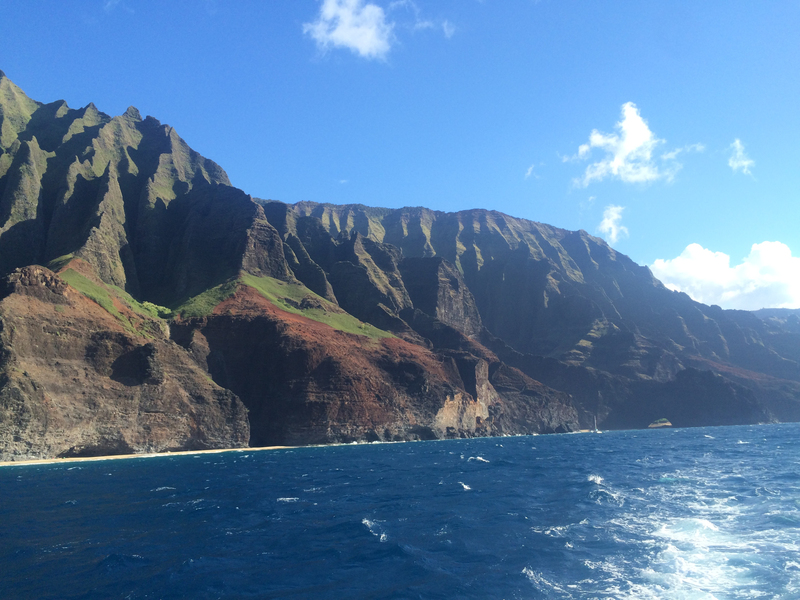 Views of the Na Pali Coast from our cruise. If you get seasick, bring some kind of medicine. 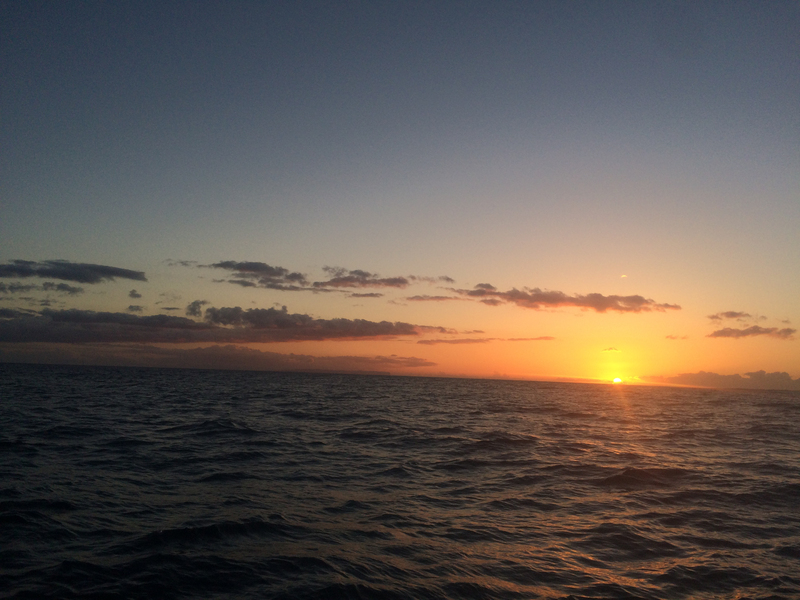 I get seasick very easily, and it happened to me during my first Na Pali Coast Sunset Cruise. Many people on the boat got sick, too. For my second trip, I talked to my doctor, who told me to take motion sickness medicine and wear sea bands. I felt great during the entire trip! So, come prepared. Even if you don’t normally get seasick, talk to your doctor about some options to make sure you can make the most of your trip. The crew will usually give out ginger pills on board, too, but bring your own supply just in case. Bring layers (including a light rain jacket), sunblock, sunglasses, and a camera. You can always change on board if you get hot. Many people forget that the sun is strong during the day — even during a sunset cruise since you board the ship during the hottest part of the day. It’s better to be prepared. You can always throw on a sweater if you get cold while you are eating dinner and watching the sunset. And finally, book early. These cruises arepopularr and sell out. Our travel agents can help make sure you get the cruise you want! This Package includes 4-star hotel accommodations at a beachfront resort, the Kauai Beach Resort, airport transfers, lei greeting upon arrival, all breakfasts and dinners, 10 alcoholic beverages per couple (beer/wine/well cocktail or tropical), and the Hawaii Aloha Travel Welcome Pack. Highlights include the Waimea Canyon Tour and the Alii Movie Excursion and Scenic Hanalei Tour. Let us do the work while you relax. Call us today to start planning!